McALLEN — A Texas Department of Public Safety trooper was suspended Monday after McAllen police arrested the man a day earlier. 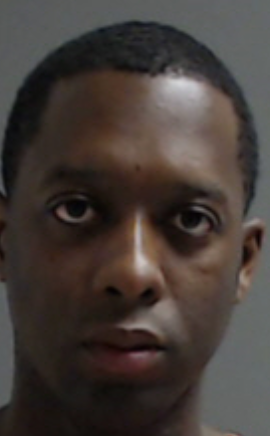 Officers arrested Jeremy Rashaad Keys, 30, of Mission, at about 10 a.m. Sunday in the 900 block of Trenton Road after a woman called to report that Keys had exposed himself to her, McAllen Police spokesman Lt. Joel Morales said. Keys, who was off duty and parked in his personal vehicle at the time of the alleged offense, told officers he was a state trooper upon contact with them, Morales said. In an email release statement DPS spokesman Lt. Juan Hernandez said Keys is a probationary highway patrol trooper based out of Rio Grande City who is still undergoing field training. “The case will be reviewed to determine if additional personnel action is warranted,” Hernandez said in the release. Keys’ bond was set at $2,000 after he was formally arraigned Sunday on one count of indecent exposure, a Class B misdemeanor, police said. If convicted of the misdemeanor Keys faces up to 3 months in county jail and a $2,000 fine. McAllen police are asking for the public’s help in locating a man believed to be armed after a robbery-turned-shooting Monday morning. Police are searching for at least one man after an early morning shooting left one homeowner with non-life threatening injuries. An adult woman is recovering from at least one gunshot wound after police say a man attempted to burglarize her home before shooting her, McAllen Police spokesman Lt. Joel Morales said. Morales said the shooting took place at a residence at about 6 a.m Monday in the 2300 block of Lindberg Avenue. Morales said they are asking for the public’s help in locating the suspect, a Hispanic male about 18 to 20 years old, and between 5 feet 8 inches, and 5 feet 9 inches, tall, with a slim build. Anyone with information may call McAllen Crime Stoppers at (956) 678-8477. Two men are in custody after an early morning bank robbery in McAllen, Morales said. Police said the men, who have not been identified, were detained shortly after a robbery at a local bank Monday morning. Police said at about 9:30 a.m. Monday a man walked into a bank in the 3600 block of North 10th Street and demanded money, and then fled in a car. Eventually, about 30 minutes after the bank robbery, two suspects were detained in connection with the robbery after they crashed their vehicle in Pharr, police said. Morales said no other details were immediately available and the identities of the suspects were not released.